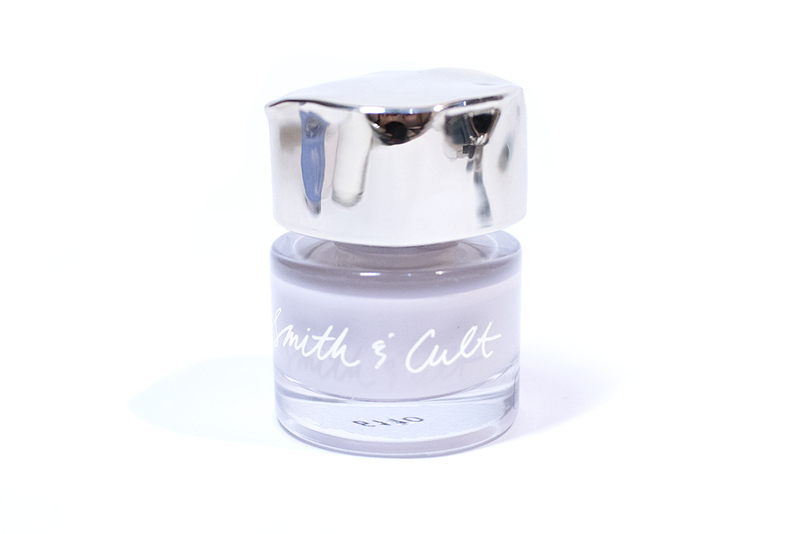 Brand Spotlight: Smith & Cult – Oh My Stellar! 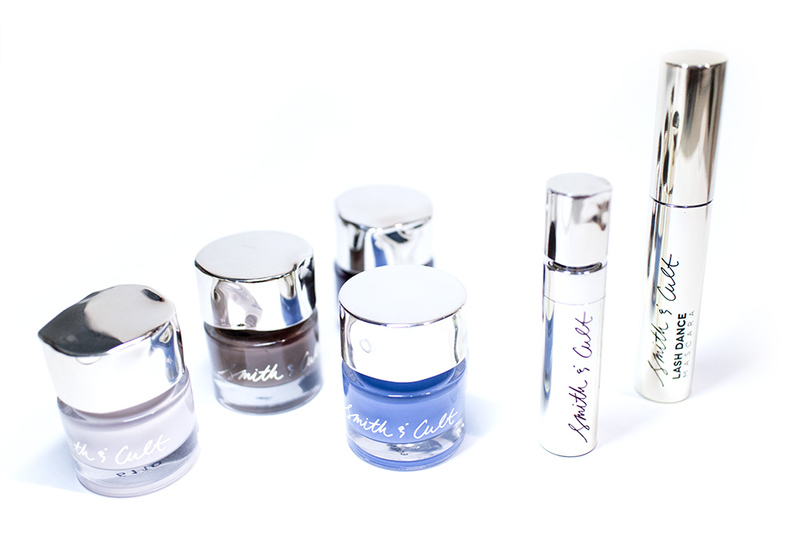 I had been eying some of these Smith & Cult products since I first saw them online – and now they’re finally stocked at Sephora and much more easily accessible, so I just had to write a post about them. 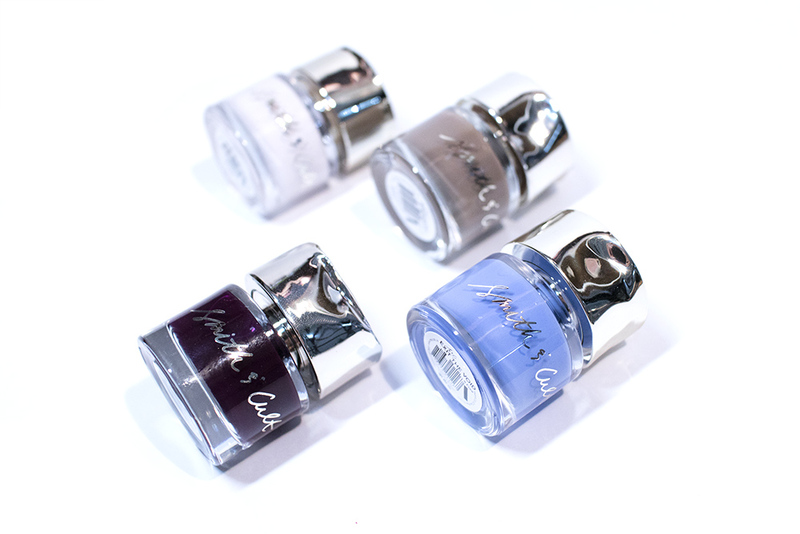 This brand is founded by the same woman who did Hard Candy (Dineh Mohajer launched it in the 90s) so you know that they have plenty of experience and knowledge in all things nails and beauty. 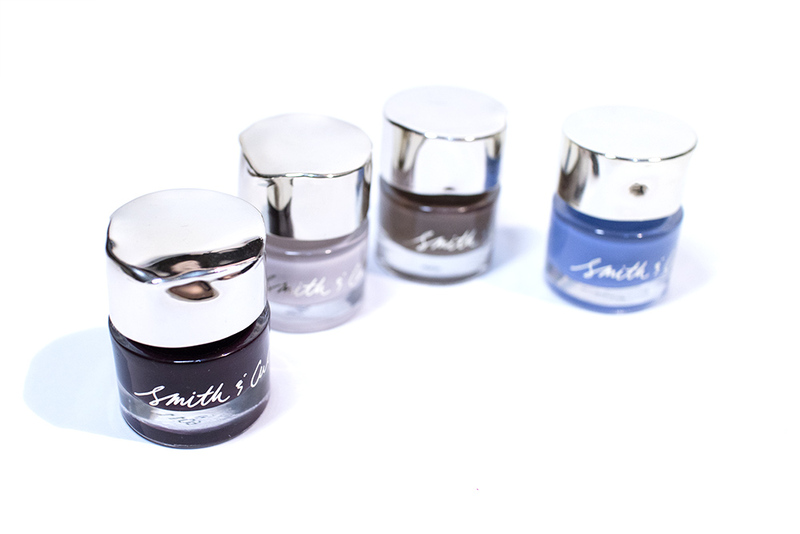 Similarly, Smith & Cult started out with their nail products first and have now branched out into cosmetics, and I really couldn’t be happier about the quality of their products! 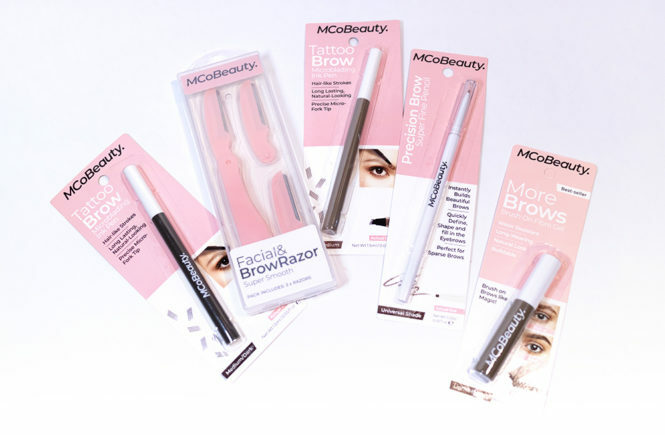 These were sent to me as samples from PR, but I had actually contacted them myself about reviewing the brand because I was personally so impressed by the quality of what I had seen at Sephora! 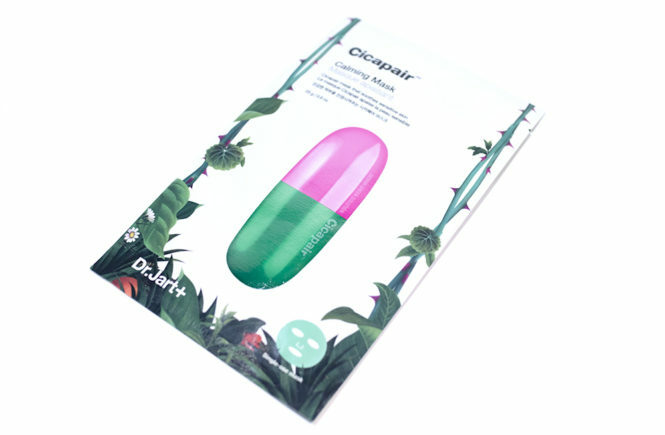 Of course, I did want to get more information about them as well, as I feel like they have been a bit under-represented outside of Instagram (where their unique nail polish bottles are a blogger’s haven), so it was really good to get an insight into their brand values and their range too. 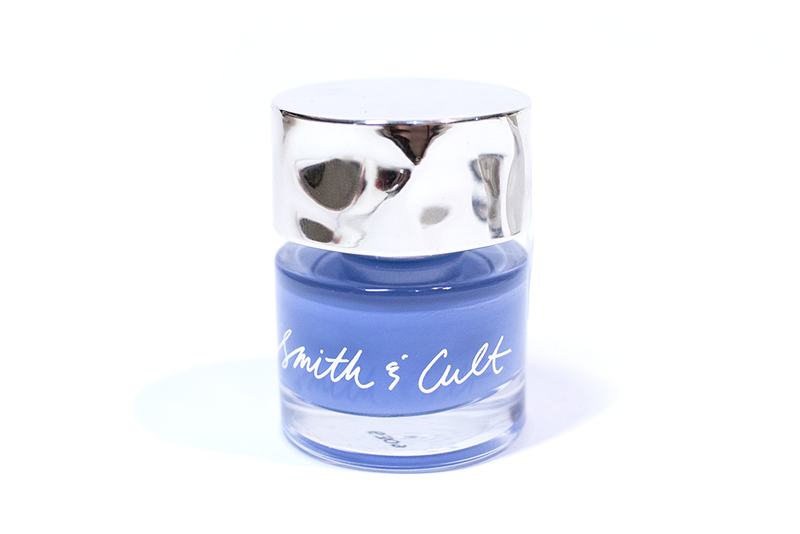 So Smith & Cult is, according to the website, all about the duality of personalities – represented by bold, sharp colours and cosmetic looks. In a way, their concept is a bit similar to Urban Decay (another favourite of mine); feminine, edgy and unique. It’s easy to see why I’m such a fan, since they embody all of the values that I hold so dear to me. 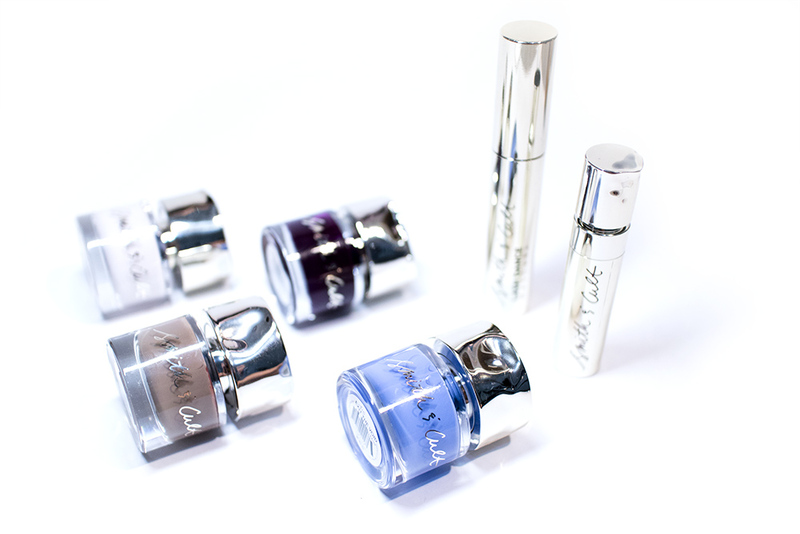 All of that said, today I’ll be discussing three products from their line and giving you my thoughts on them – The Tainted Lip Stained, Lash Dance Mascara and a selection of their Signature Nail Polishes. So their PR agency sent me an assortment of things to test out – three of the polishes (the fourth brown bottle is one that I had recieved ages ago and hadn’t written about yet), the gloss/stain and the mascara. All of them have a very high end and classy looking gold packaging – it looks really luxe and the product definitely fits in perfectly on the Sephora shelves. The products are a little on the mid-high end side, so they aren’t cheap, but the quality is definitely worth it. I also love the packaging! 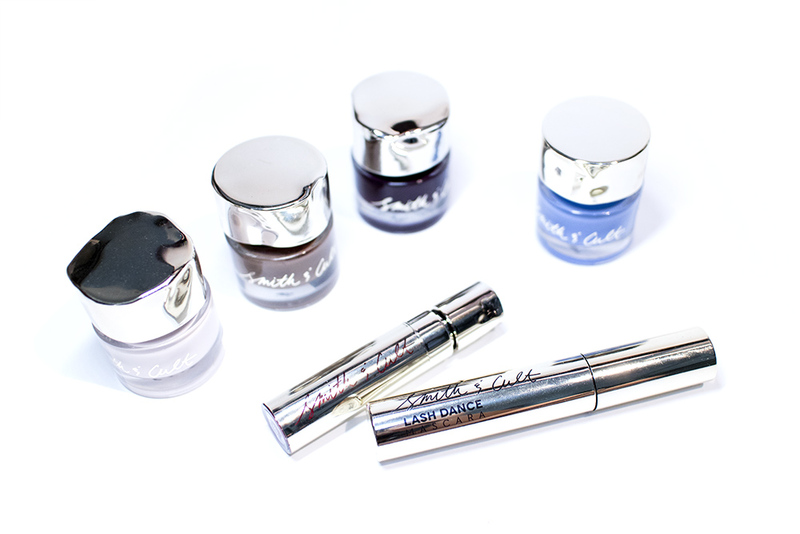 Aside from their really trendy use of typography (like the script font logo), their signature look is the crumpled metal design – which you can see on all of their products except for the mascara. Aside from having this grundy, distressed look, they also have an interesting functional value where they’re a lot easier to grip and control because of it! First off, let’s start with The Tainted Lip Stained. 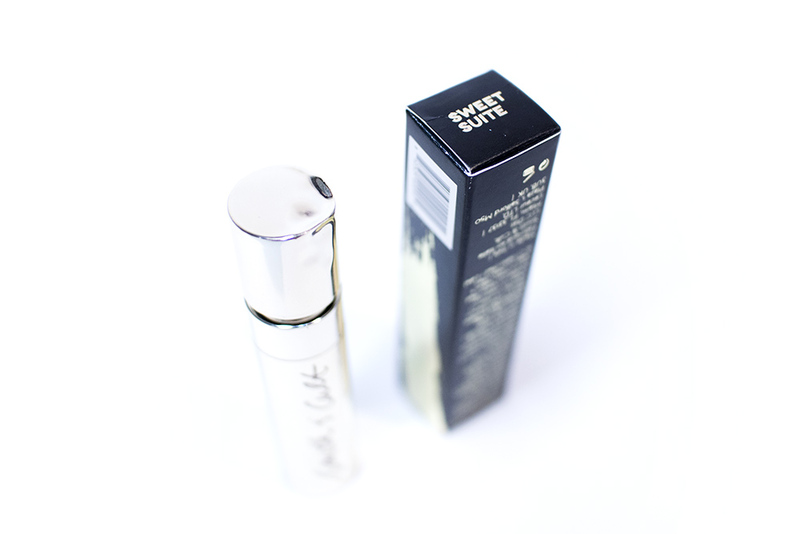 This is a subtle, hydrating lip stain that, in my opinion, is very similar to a gloss. 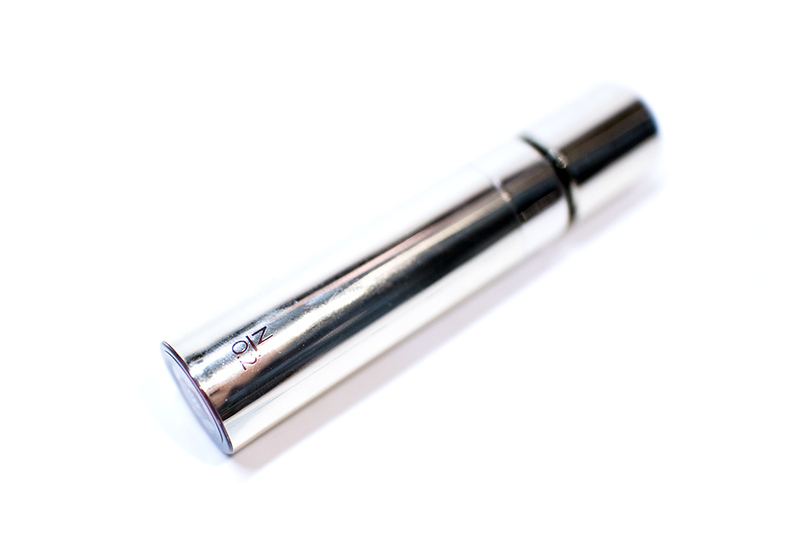 According to the Sephora website, it is: “A masterful blend of form and function, this specially formulated lip stain delivers subtle colour while boosting moisture levels. It’s formulated with a hydrating peptide complex that nourishes and soothes lips, making them softer and protecting them from dryness. Green tea extract delivers a potent blend of antioxidants and tannins to condition dry and damaged lips, leaving them visibly fuller, smoother, and plumper.” The product seems rather simple on first impression but, once you’ve applied it, you can definitely tell the difference between it and other cheaper products. 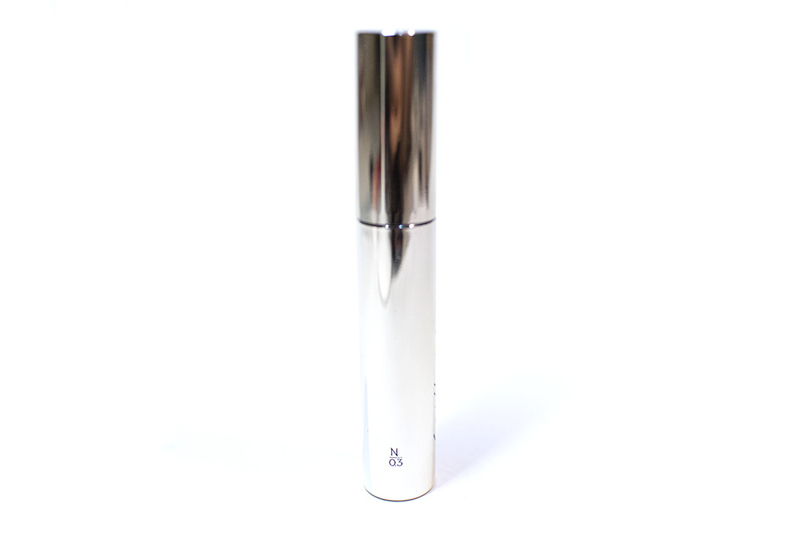 This lip stain gives your lips a visible plumper appearance by smoothing out lines, hydrating and giving your lips a very natural and pretty colour. It isn’t sticky at all and, instead, feels very smooth and comfortable. 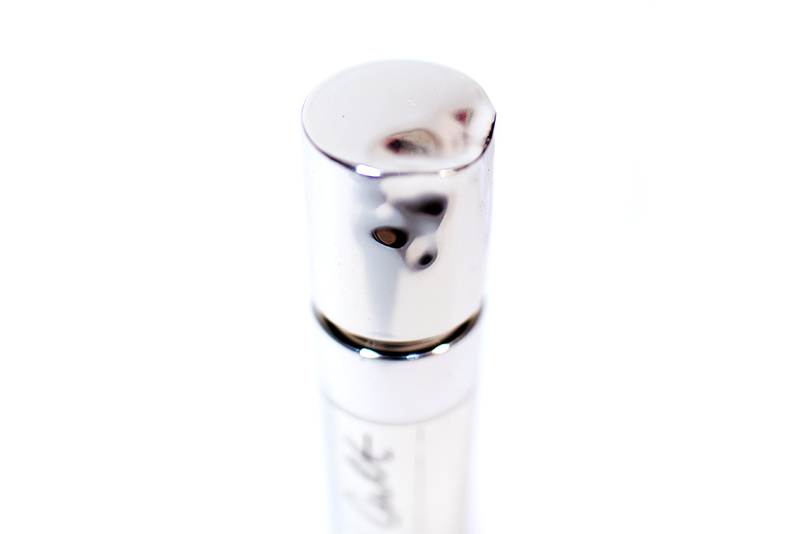 It also doesn’t dry out your lips like some glosses do and is really easy to touch up during the day. Of course, it does disappear when you eat (as all glosses will) but they still wear relatively well. This lip stain comes in two shades and they also have a ‘flatte‘ version (which has a matte finish) which comes in another two shades. I have Sweet Suite which is a very pretty warm pink that gives the lips a very plump and youthful appearance. It is so flattering on my skin tone and I actually think that it would suit a lot of people. The colour is light and sheer, so it had very flexible uses either on its own or as a lip topper. It also smells distinctly like vanilla cake, which is absolutely delicious – I love it! The stain comes in a short gold tube with a standard doefoot applicator. The colour of the product can be seen in the logo print or on the bottom of the tube. I think that this could be improved by making it easier to check what colour you have as – if I do end up collected these – it could be a bit difficult to differentiate them. Still, the packaging is really pretty and I love that crumbled metal lid detail! The designer in me is so, so satisfied looking at these products. And above is how they look on my lips! I’m telling you now that I actually don’t have very nice lips – they’re asymmetrical, thin and flat so it usually takes me quite a lot of work to make them look fuller. 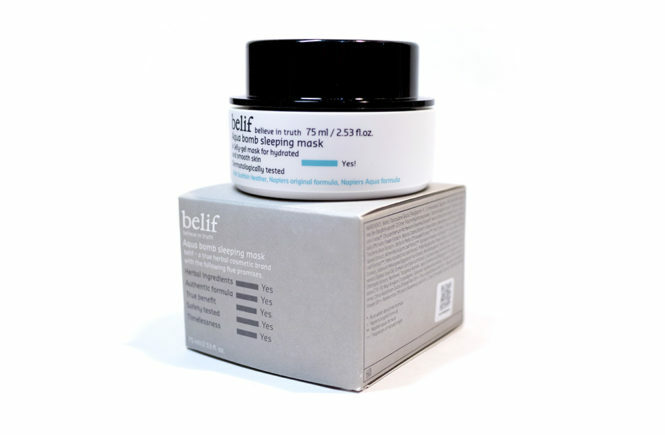 However, this product is so natural and easy to apply. They also have my lips look better than I thought any gloss would? I mean… I never thought that lip gloss could make much of a difference – but these do. When the product wears off, you’re left with a light pink stain. 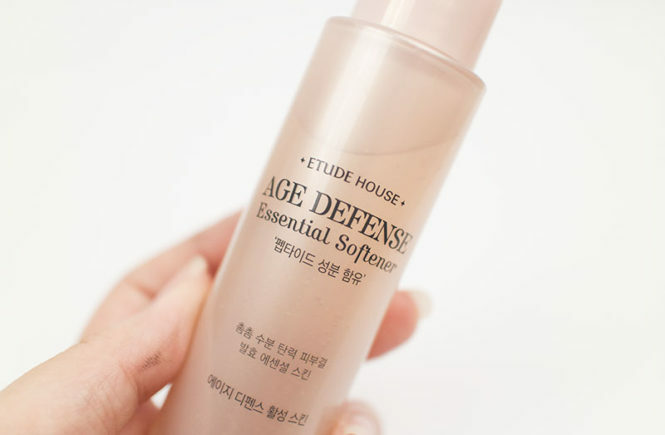 It isn’t anything strong, but it keeps you from looking too washed out until you reapply. The trend for a long while has been matte lipsticks and opaque lip colours. While I still love them, lip glosses are definitely making a comeback right now and I’m so glad! After trying this out, I definitely think that this is one of my favourite new glosses. 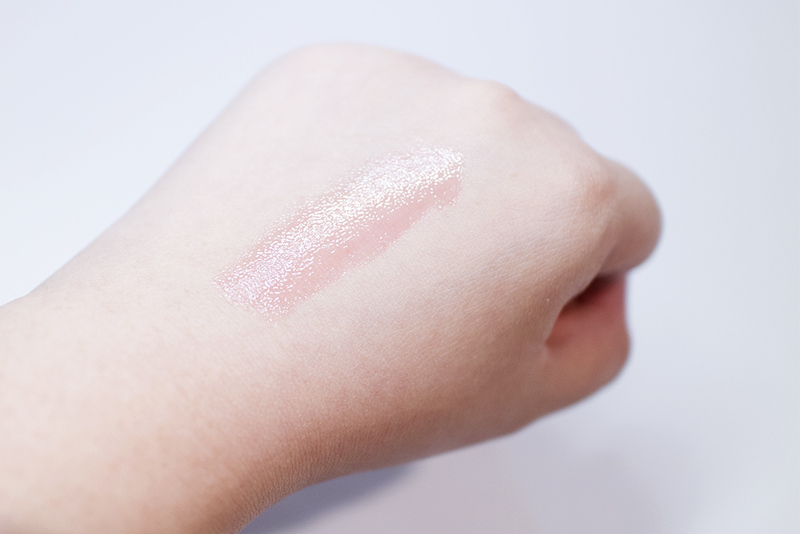 It is a bit expensive at AUD$42 and I wish that the price could be a bit more affordable but if you love glosses and you’re open to splurging a little, then this is a good one to check out! So next up is the mascara! Personally, I’m don’t wear mascara every day since my lashes are so short that it doesn’t make enough of a difference for me to remember, but I do love the look of dark, thick and long lashes. However, being Asian, my lashes are infuriatingly stubborn, straight, short and sparse. The only products that have really worked for me have been Japanese mascaras and some Korean ones. 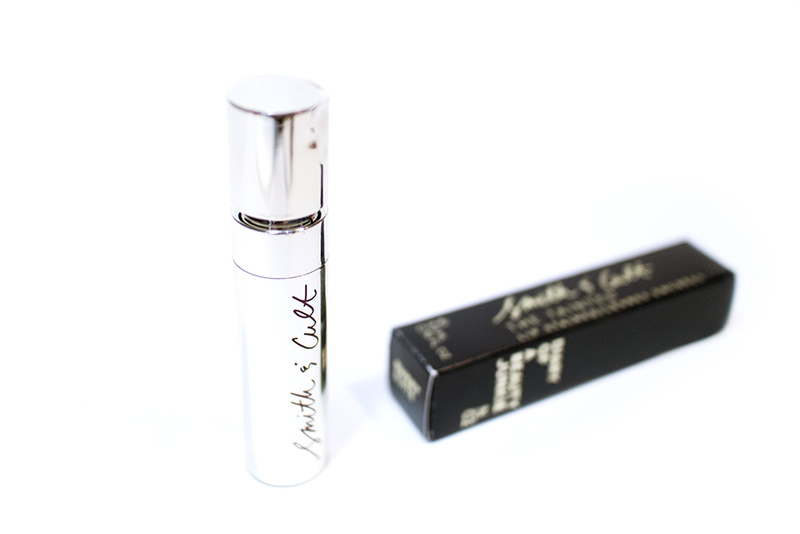 Unfortunately, this Smith & Cult Lash Dance Mascara isn’t working very well for me but I can see how great it would be for someone with a better canvas to work on. Let’s just delve right into it! I got this mascara in the shade Radio Silence which is, I think, the only colour that they have available now. 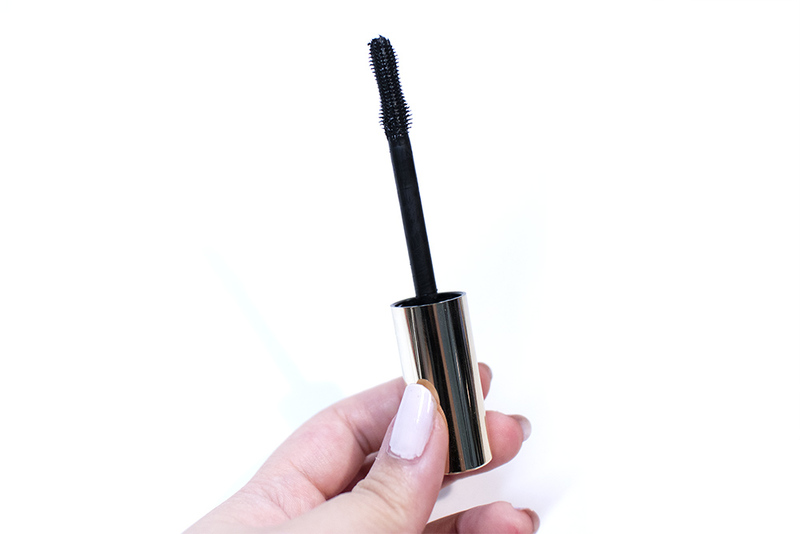 It is super black and gives your lashes a thickened look. It is really pretty, but I think would be best suited to someone who already has a good lash length and curl. The packaging for this is one of the plainer, simpler ones but it still has that same elegant look. 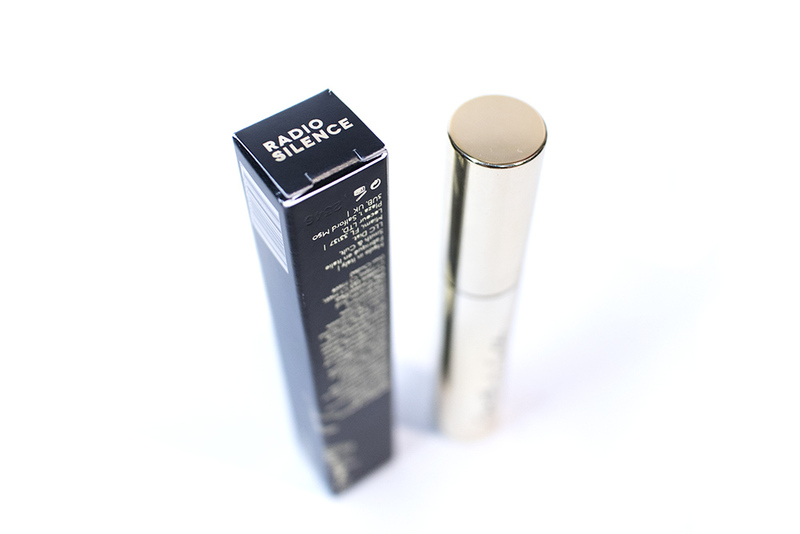 It’s a gold, metallic tube that is very clean and minimalist in style. This is actually the only product I remember that didn’t feature the crumbled metal design and I sort of which it did for consistency’s sake! However, the tube is still a good side and easy to use and manoeuvre. I like that it isn’t anything too fussy or overdone – as I find that they can get in the way sometimes. The applicator for this has short, silicone bristles and is a bit thick. The bristles are good for evenly coating lashes and fanning them out (though admittedly not dense enough to fully separate them), but is a bit thick so it can be a bit messy sometimes. I don’t recommend this for the lower lash line, but it’s fine for the upper! As you can see, my natural lashes (on the left) are rather dismal but the mascara does succeed in darkening, thickening and lengthening my lashes pretty well on the right. 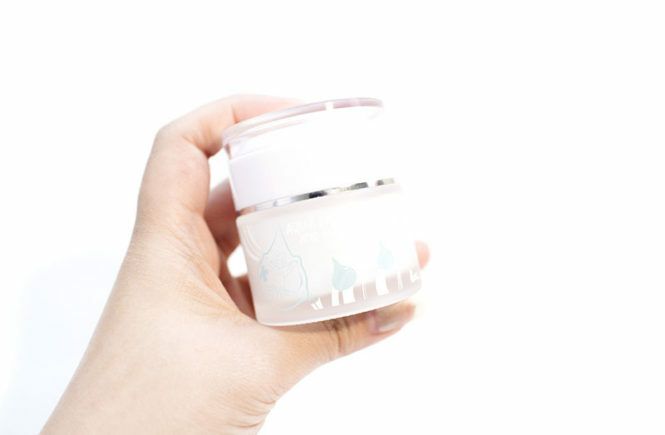 For Asian eyes though, I think that the formula is a bit too creamy and heavy for us so it isn’t very suited to my own uses. That being said, the product doesn’t run or smudge, and is fairly easy to remove so it isn’t bad! Just not for me. 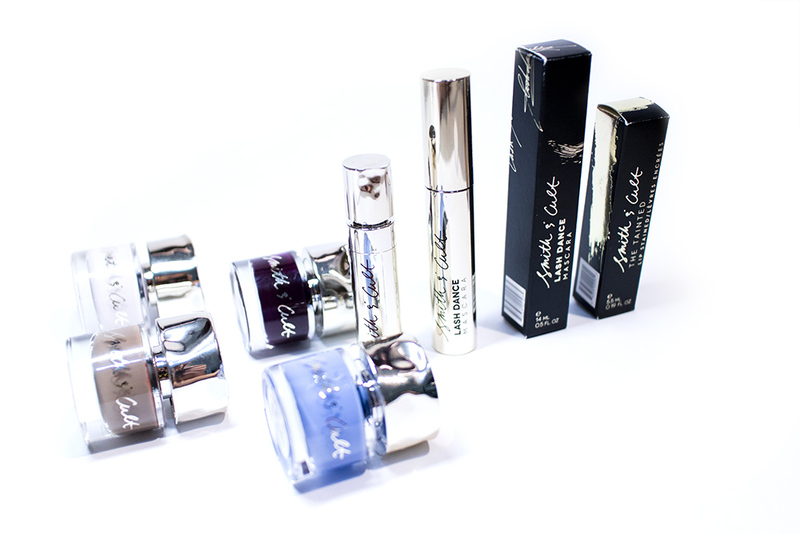 And last, but not least, the nail polishes! 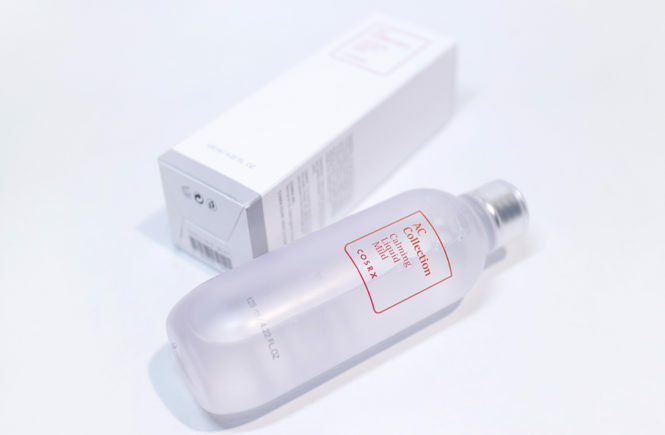 These actually are selling at Sephora in-stores but I can’t seem it find it on the online website for some reason – I’m guessing that this might be due to shipping issues. 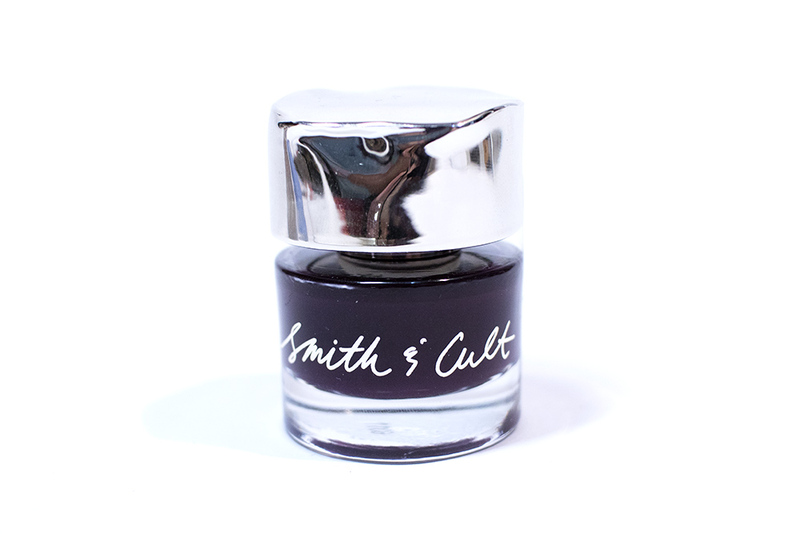 Instead, I have linked the official Smith & Cult website, but know that you can check them out in person too. These are one of my first luxury-ish nail polishes aside from Butter London. In the past, I’ve always used generic brands or drug store brands because I always thought that there wouldn’t be much difference from one polish to the other aside from the shade. Boy, I was wrong. All of these come in a super pretty stout glass bottle with a large gold cap – this cap also has the crushed metal design which allows for surprisingly great grip and ease of use! 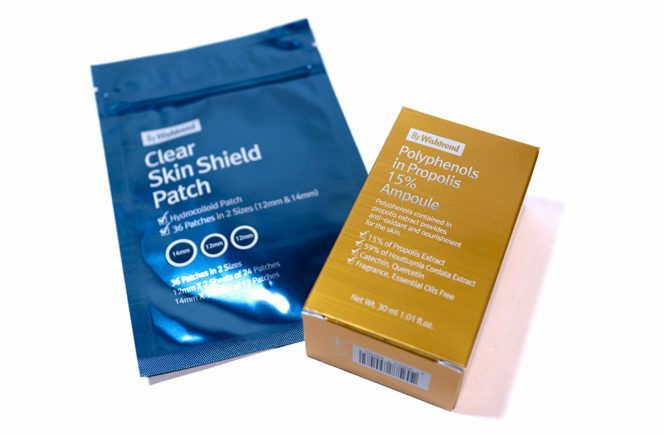 The product is really easy to apply and, with patience, you can get it up to maximum opaqueness in 2-3 layers. It has minimum streaking and, really, if someone like me that use this – so can you! I’m terrible at doing my own nails and this polish is the first time I’ve managed to do a light, opaque shade. This is definitely one of my favourite shades because I am all for dark, vampy colours in anything. 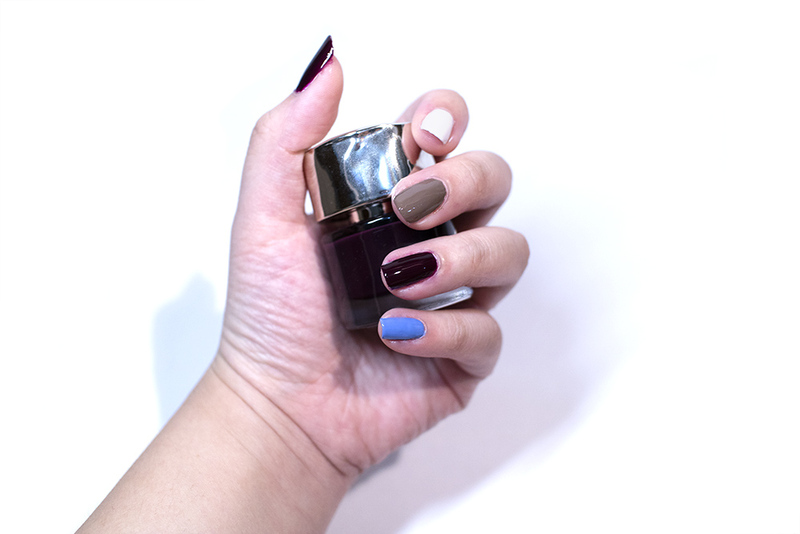 One thin layer will give you a berry-wine shade that looks like a beautiful stain on your nails. If you go for two or more layers though (which I did below), the colour becomes almost black with a faint, red hue. It’s so pretty and it looks really edgy! I love it and I think it’s a great representation of the Smith & Cult brand too. This colour applies really easily and well – it’s very easy to make it look opaque. The colour looks very creamy and thick – it’s a cool toned brown that I don’t come across very often. That being said, I find that the colour doesn’t suit my skin tone very well as looks a bit strange on me. The formula is great, it just doesn’t suit me and my personal preferences. This colour is so beautiful! From a distance, it looks pure, opaque white (which is one of my favourite nail colours) but it actually has a slight pink hue to it that’s really interesting and trendy too. I love that the colour is very simple but has an interesting twist. Shades like this are usually very hard to apply and, as someone who is pretty bad at it, I usually really avoid them. 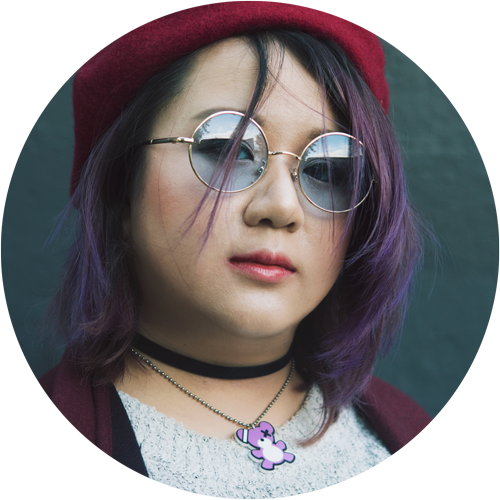 I gave this a good shot though and I got maximum opacity with three layers – the colours weren’t streaky, applied easily and gave me a great, glossy finish! Love! This is the colour that I’m wearing today. It’s another one that I find quite interesting because I don’t see it often. Truth be told, I wasn’t sure if I would really like it – because the shade feels a little ‘basic’ to me (most likely because I have a shirt in the same colour). However, once applied, I actually quite like how it looks! I think that out of the four, this was the easiest to apply. It has maximum opacity with two layers only and wasn’t streaky at all. This would be a good shade to try out for people who struggle painting their nails but wants an opaque, ‘flat’ colour. Overall, I do love these polishes. The price tag is a bit premium, but it isn’t exorbitant either and – if you’re someone who uses them often – this would be a good investment. 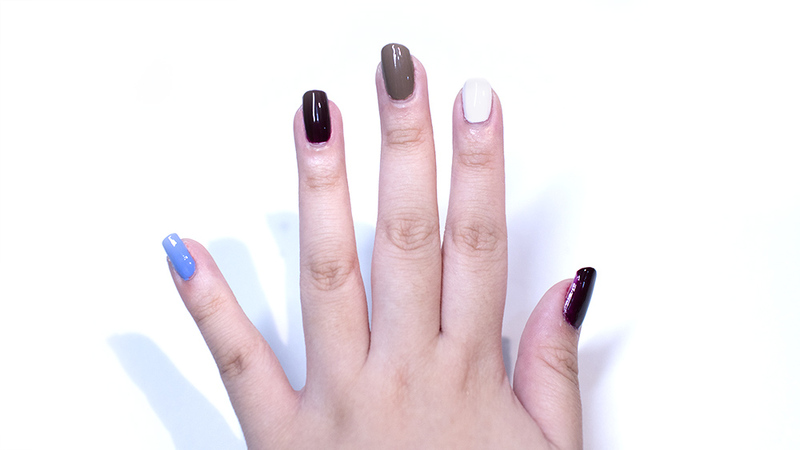 Usually my nails chip by the next day, but these lasted me nearly a week with minimal chipping (and I type all day). The colours also stay glossy and vibrant. They wear so well and I really want to get more of these shades. 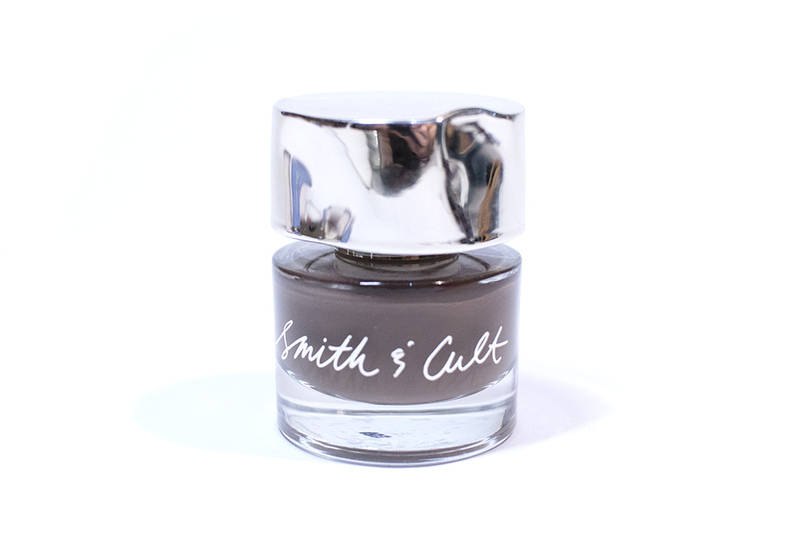 So those are my thoughts on the Smith & Cult products! I love what I’ve tested from the range so far and I’m so looking forward to introducing and testing more of their products. The prices are a bit dear but the quality is definitely worth it! I love what their brand stands for and I think that they’ve got a great niche in the market, so I look forward to how they develop. If you’d like to get your hands on these products, check out Sephora or the Smith & Cult website for all!